If you need to know how to get rid of cockroaches then you are in the right place. Roaches have been around for 300 million years, so arming yourself with the right information can really be the difference between success, or failure. Save yourself from wasted time, money, and effort. Make this your last attempt and eliminate them for good. Check out the wealth of information and guides listed at the bottom to uncover exactly what you works. The German cockroach (Blattella germanica), the most common. I’ve listed just the 4 most common, but they aren’t the only ones. You may also be dealing with Palmetto Bugs (wood roaches). 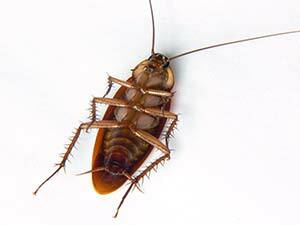 Even if you’re dealing with a completely different species, the information here can be applied to any species of cockroach. The treatments you find here will also work for all of them. Which One Are You Dealing With? Knowing exactly which type of cockroach you’re dealing with will make your fight to against them so much easier. Different types have different preferences for foods and such. The easiest way to tell what you’re dealing with is to use a monitor glue trap, like this Catchmaster Glue Trap/Monitor, to catch a few of them. Once you’ve caught a few, simply pick up the monitor and inspect the roaches. Use the information on this website to identify them based on their physical characteristics. There’s no easier way to determine exactly which type of cockroaches you’re dealing with. These pests like to live indoors among humans; where it provides warmth, shelter from the elements and has easy access to food & water. If these are readily available, they invade our homes and quickly multiply to almost uncontrollable numbers. They eat our foods while carrying germs that threaten our well being. Daily cleaning is a lot of work and it takes a lot of time. Sometimes you just can’t keep up with it. If that’s the case for you, you can cheat a little and clean every few days, but use a repellent to help keep them away. You can try electronic pest repellents because every little bit helps. You can find a few different brands out there.